I have been in full swing with getting the boys ready for back to school and haven't had much time for filming a new video tutorial. We are nearing the end of the first week back in school and everyone is settling into the new routines so I anticipate being able to film a new video tutorial very soon. In the meantime, I thought I'd share this super-duper simple and super-duper gorgeous card that I created. 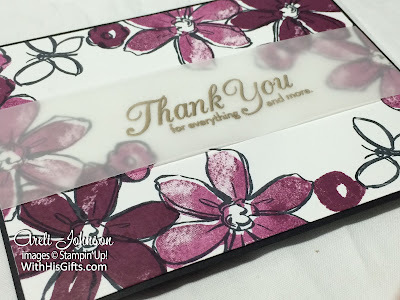 I hope that today's project will inspire you to transform paper into a little work. And, oh yeah! You don't want to forget about the Paper Pumpkin BOGO, going on right now! That's right! Buy your first month and get your second month FREE! Check out all the details HERE.